January 9, 2013 – (Wilmington, DE). Hindu Mahasabha of America (HMSA) condemns the barbaric killing of Indian Army personnel and violation of LOC by Pakistan. The brutal and inhumane and unacceptable conduct by Pakistani troops is deplorable and violates all military code of conduct and protocols. 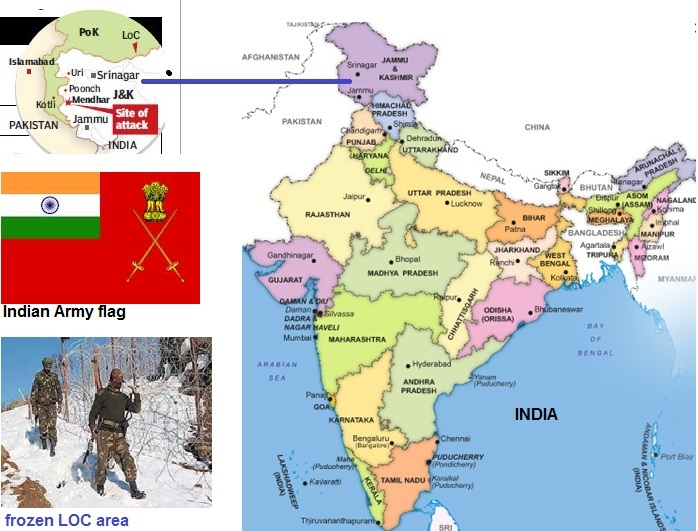 First, under the disguise of fog, Pakistani troops enter Indian border along with Islamic Jihadists, later when Indian troops resisted for LOC violation, the Jehadi and Pakistani troops fired upon them and later beheaded them and took away the head back to Pakistan. Pakistanis ambushed the soldiers from behind, using khukri-type daggers to kill two Indian soldiers. This action shows the immoral, inhumane and animalistic culture Pakistan army has which in one way is approved by their holy book Koran for non Muslims. The beheading of Daniel Pearl (reporter on February 1, 2002 and recent brutal killing of American ambassador in Libya display the brutality of Islamic regimes and their armed forces. Similar barbaric torture was inflicted upon Captain Saurabh Singh IN 1999, when Indian Army received his body, his head was mutilated and fingers cut. It’s important to note here that for Pakistani people, Pakistani Army and Pakistan Military, India is not an enemy, but the Hindus of India are their enemy, Pakistani don’t see Indians as Indians but all Indians as Hindus, who are unbelievers as per Surah 8:12, Koran. 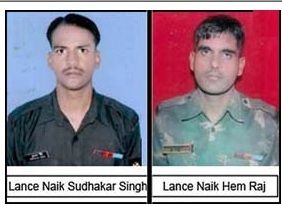 HMSA offers it deepest and heartfelt condolences to Indian army for the supreme sacrifice given by Lance Naik Hemraj and Lance Naik Sudhakar Singh for mother India. HMSA salutes these two brave soldiers and ask Indian establishments to snap all cultural, art, music and diplomatic ties with Pakistan. It’s a historical fact that whenever these Pakistanis have visited India, such inhumane attacks took place.